Fifteen years ago, Luci’s mother committed suicide, leaving behind a legacy of lies that Luci is still struggling to uncover. Now, a year after Luci was left reeling by the twin revelations that she had bipolar affective disorder, and that the grandfather she had thought was dead was still alive, she finally feels ready to meet her grandfather for the first time – hoping that he will be able to shed light on the secrets of the past. But Walter’s reaction to Luci’s visit raises more questions than it answers – and it is only after his death that Luci is able to discover the tragic truth, which shocks her to the very core of her being. 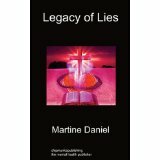 Legacy of Lies is a heart-rending story that stretches back over several generations, unveiling the deplorable state of psychiatric care in the early twentieth century, but which ultimately offers a message of hope for those suffering mental illness today, and their families. Martine Lara Daniel was born in York in 1981. From a young age, she knew she wanted to be a writer, and whilst at secondary school she would often be caught scribbling stories in the back of exercise books during lessons. Her dreams of seeing her name in print never dimmed, despite her life being turned upside down by episodes of mania, depression and psychosis during her late teens and early twenties. 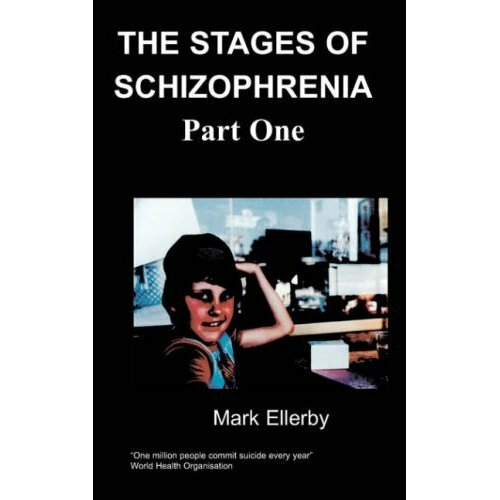 In 2003 the pressures of a stressful job brought on an episode of psychotic mania, which led to the breakdown that ended her hopes of a career in bookselling, following which Martine was finally forced into contact with local mental health services. With the help of medication and the support of her family, she began to pick up the pieces of her life and started work on her first novel The Fire in Your Eyes (published 2009), juggling work on the novel with her studies with The Open University. Legacy of Lies, the sequel to The Fire in Your Eyes, is her second novel. Martine hopes that by bringing the experience of mental illness alive in her works of fiction she can contribute to the ongoing battle to reduce the stigma surrounding mental health issues. Lies had become the cornerstone of the community. Lies built upon lies, built upon lies. They penetrated deep, infecting every single person who stepped inside the ‘chapel’ to hear Pastor Tyrell preach his poison every evening. His voice haunted Elvina’s dreams, amidst her sister’s screams. There seemed to be no escape from her daily nightmare. ‘Elvina, open the door this minute!’ The door handle rattled ominously, but the door didn’t budge. There was no way anyone was getting into the attic bedroom, not with the heavy oak dresser pushed right up against the door. Elvina cowered in the corner of the room, her wet hair dripping droplets of icy-cold water down her back. Her dress was torn, the bodice ripped open to expose her pale flesh. There were vivid stains where the pastor’s fat fingers had pinched her; her head rang still from the stinging blow he had dealt her after she tried to bite him. ‘You will open this door, Elvina, or, God help me I shall have it broken down!’ The voice outside the bedroom door belonged to her grandmother – the one person she feared as much as the pastor. They worked their evil together, the two of them, always in the name of God, so that the whole brainwashed community hung from their every word. Georgina Warburton was a formidable woman – stout and sharp-tongued, with a heart that Elvina knew to be so cold it was as if she wasn’t human at all. Elvina continued to rock, her fist stuffed into her mouth to stop her sobbing aloud. If she closed her eyes, she could see herself back in that room again, with her father standing by and watching – as he surely must have stood by and watched them do the same to Isabella. The thought that her sister had endured this horror before she was dragged screaming away – never to return, despite Walter’s false promises – brought bile rushing up into Elvina’s mouth. It was inhuman, the things that the pastor did whilst claiming to do God’s work. Elvina had studied the Bible at length – at her grandmother’s insistence – and nowhere could she find mention of the vile acts practiced by the Church of the Glorious and Great God. As footsteps faded away down the stairs, Elvina unfurled herself and tiptoed across the room to listen by the door. She could hear nothing, but that didn’t mean that someone wasn’t waiting on the other side for her to throw caution to the wind and try to escape. Not that she was stupid enough to try it. Instead, she stripped off her dress – torn when she made her bid for freedom – and pulled on a pair of slacks and a jumper, shivering as she tried to wring some of the water out of her long chestnut hair. Her teeth were chattering still with shock. The attic was at the very top of the house – three storeys up – and so the last thing Elvina expected was for someone to try to climb in through the window. She heard the dull thud against the wall as the ladder was raised, but took little notice, feeling almost safe barricaded inside the room. She lay curled up on Isabella’s bed, clutching in her hands the one photograph – of the two of them together – that Georgina hadn’t burnt in a ritual ‘cleansing of evil’. Tracing Izzy’s face with her fingers, Elvina allowed the tears to fall freely. When the sash window was hurled open, Elvina screamed, cowering back on the bed and dropping the photograph. It slipped down the back of the bedside chest as the pastor heaved his bulky body through the window and into the room. ‘There is evil in this house and it is my duty to cleanse you of it!’ Tyrell bellowed, slamming the window closed again. ‘I will exorcise the devil from your soul, Elvina.’ He shoved the dresser out of the way of the door with little effort, such was the strength behind the great monster of a man. ‘Will you come willingly, or do I have to drag you?’ he asked, turning on Elvina with a malicious glint in his eye. Elvina folded her arms across her chest in a gesture of defiance. She tried not to show the pastor that she was afraid of him, but her heart was pounding so loudly she felt sure that he must be able to hear it. ‘Very well,’ Tyrell said, smiling maliciously. He crossed the room in two long strides and seized Elvina by the shoulders, pinning down her arms as he manhandled her, struggling as best she could, towards the door. It was no accident when Tyrell knocked Elvina’s feet from under her as they descended the steep wooden staircase. She tumbled and rolled down the remaining stairs, landing in a bruised and shaken heap at the foot of the attic staircase. Tyrell didn’t so much as spare a thought of concern for her; wordlessly, he hauled her back to her feet and continued the descent down to the ground floor of the house. The hallway was lined with prominent people from the Church, all dressed identically in a strange black attire that marked them out as the Trusted Elders. Georgina and Walter, of course, were amongst them, as well as Elvina’s aunt Louisa, her father’s sister, the post-master Mr Musgrave, Mr and Mrs Denton from the village shop, Mr Crossgate the dentist, the three Misses Silk and their brother who between them ran the village school, and Mr Falsgrave from the old Manor House. They each crossed themselves as Pastor Tyrell marched Elvina past them to the front door, and then they formed a sombre procession through the village to the old chapel that had been home to the Church of the Glorious and Great God for four centuries.